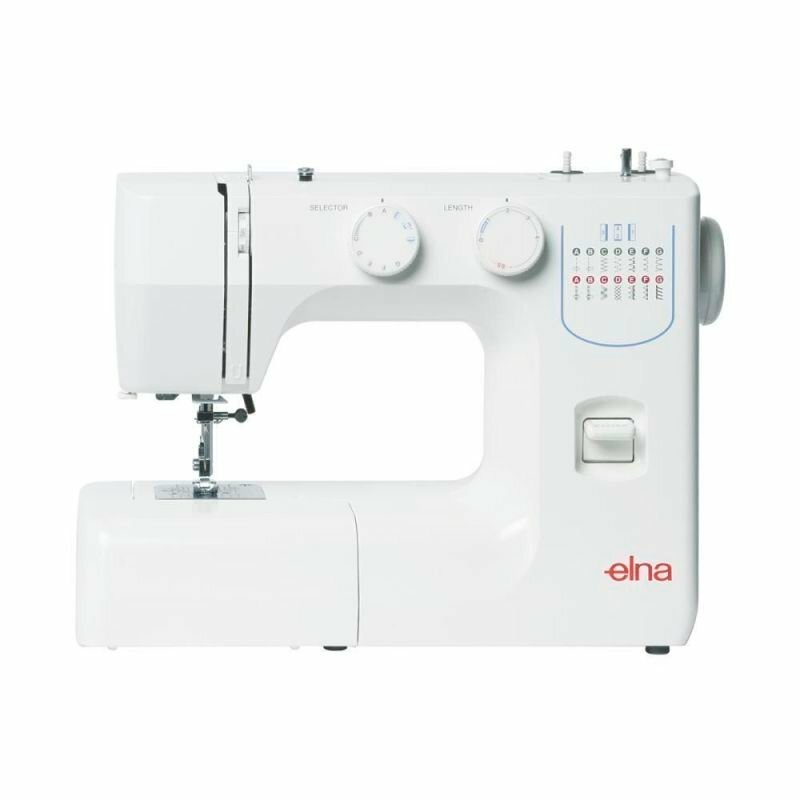 The 3-way Cording foot will hold one, two or three fine cords or threads. Because they are attached to the foot, the required design can be easily followed and the cords are perfectly places. 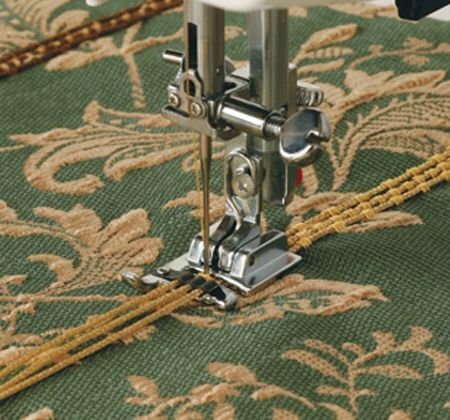 A variety of utility or decorative stitch can be sewn over the cords to couch them onto base fabrics. 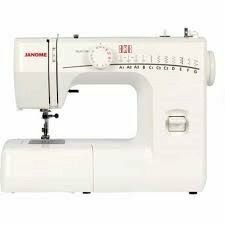 The choice of cord, thread, and stitch are all contributory factors to the final effect.